A fear of helmet head is one thing; your melon smashed on the side of the road is quite another. But for cyclists whose vanity overrides common sense and safety, consider the Hövding, a collar that deploys a noggin-protecting airbag in case of impact. Disguised as part of your outfit, the Hövding (“chieftain” in Swedish) comprises a host of gyroscopes and movement-detecting accelerometers, allowing it to spring into action in a tenth of a second. Sound crazy? Watch the video after the jump to see it in action. The Hövding, designed by Anna Haupt and Terese Alstin as a university thesis project, is meant to be unobtrusive—until it saves your life, that is. Although slightly bulky, the collar comes with a removable (and washable) shell that can be produced in an assortment of colors and prints. When further camouflaged under a scarf or two, the collar becomes almost invisible. 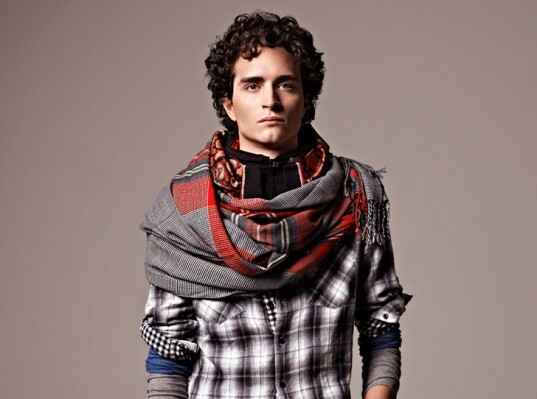 When further camouflaged under a scarf or two, the collar becomes almost invisible. Inside, the Hövding contains an inflatable device, a helium cartridge, and the sensor unit, along with a “black box” that saves the last 10 seconds of sensor data. To turn on the collar, simply place it around your neck and zip it up. Primed and ready, the Hövding is prepared to fire at a moment’s notice should your movements deviate from the norm. Haupt and Alstin ran the helmet through extensive tests, using both crash-test dummies and stunt professionals, not only to recreate every possible collision but also to teach the sensor the difference between falling from a bike and, say, bending over to tie an errant shoelace. The Hövding can tell the difference between falling from a bike and bending over to tie a shoelace. The video above clearly shows the helmet deploying in time to protect your cranium, although its speed shouldn’t be a surprise, considering how well air bags work. A USB input allows you to charge the collar, as well as install firmware updates. Over time, the Hövding is designed to tune itself to your movements, because who needs the embarrassment of a prematurely firing helmet? Neal Stephenson imagined this technology in his book Snow Crash in the early '90's. Ill stick with my helmet. But that is a cool invention. A fear of helmet head is one thing; your melon smashed on the side of the road is quite another. 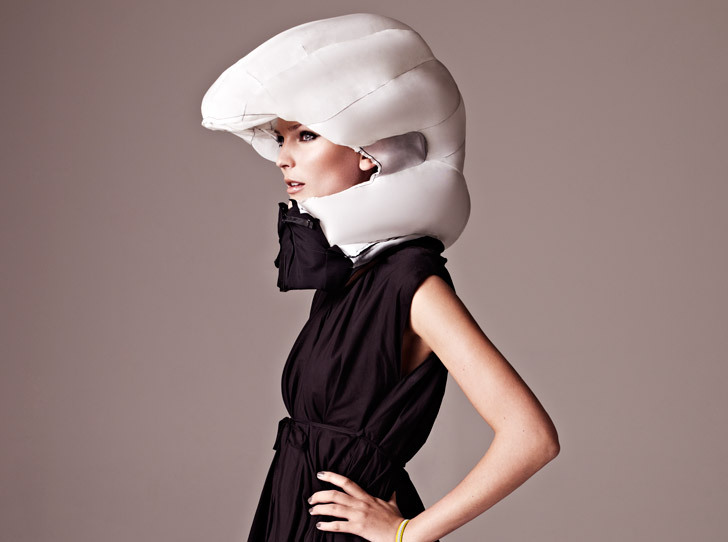 But for cyclists whose vanity overrides common sense and safety, consider the H�vding, a collar that deploys a noggin-protecting airbag in case of impact. Disguised as part of your outfit, the H�vding ("chieftain" in Swedish) comprises a host of gyroscopes and movement-detecting accelerometers, allowing it to spring into action in a tenth of a second. Sound crazy? Watch the video after the jump to see it in action.